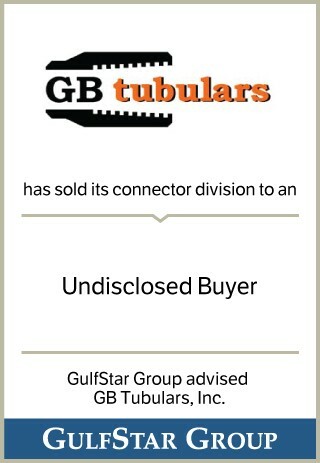 Founded in 1980, GB Tubulars (GBT) is a leading distributor of Oil Country Tubular Goods (“OCTG”) and a provider of proprietary specialty connections. The Company’s key customers are major and large independent exploration and production companies and other tubular good distributors in the Gulf of Mexico. GBT’s tubular goods and proprietary specialty connections are used in all types of drilling operations with increasing use in U.S. land-based shale plays.